Range for the Bombardier CRJ900 varies based on the model of the CRJ900 and if it is a NextGen Version. Below is the Bombardier CRJ900 Range for each model of the CRJ900. Also note that Bombardier has published varying CRJ900 Range numbers for the aircraft. These CRJ900 Range numbers come from the Bombardier Regional Family Handbook and are for the original CRJ900 jets. Based on 88 passengers at 225 pounds each, Normal Cruise Speed of Mach 0.78 and IFR fuel reserves (FAA FAR 121). The above range numbers come from the November 2011 Bombardier CRJ900 Fact Sheet. Bombardier has previously published other CRJ900 NextGen range numbers that are higher then the ones above. This seems the difference seems to be that the previous publications were using long range cruise speeds (LRC) and other weights in their calculations. Above Bombardier CRJ900 Range Page photo by BriYYZ on Flickr. Photo (only) released under a Creative Commons License. 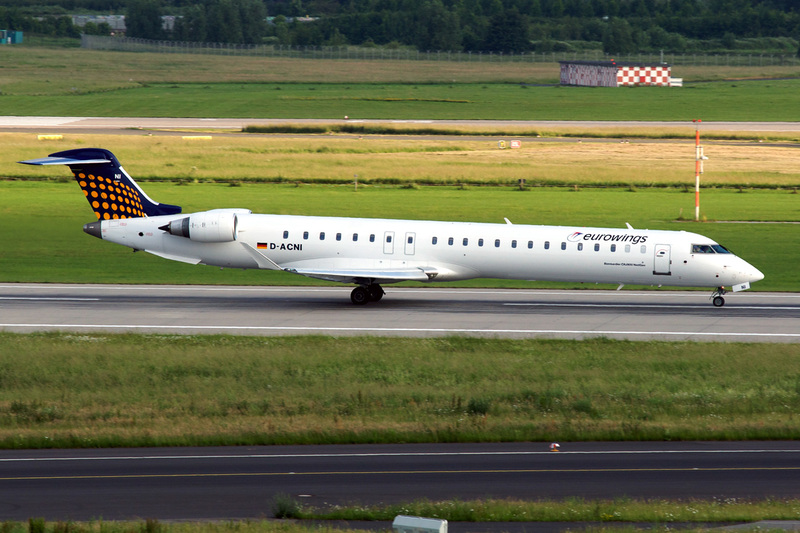 The Bombardier CRJ900 Range is also called the Bombardier CRJ9 Range, Bombardier CR9 Range, Bombardier CL-600-2D24 Range, Canadair CL-600-2D24 Range or the Canadair Regional Jet 900 Range. These are the other names for the CRJ900 Range.